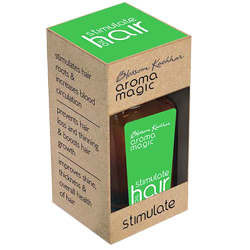 Buy Aroma Magic Stimulate Hair Oil - Stimulates Hair Roots & Increases Blood Circulation - Aromatherapy & Hair Oils. Stimulates Hair Roots and Increases blood circulation. Prevents hair loss and thinning & boosts hair growth. Improves Shine, thickness and overall health of Hair.